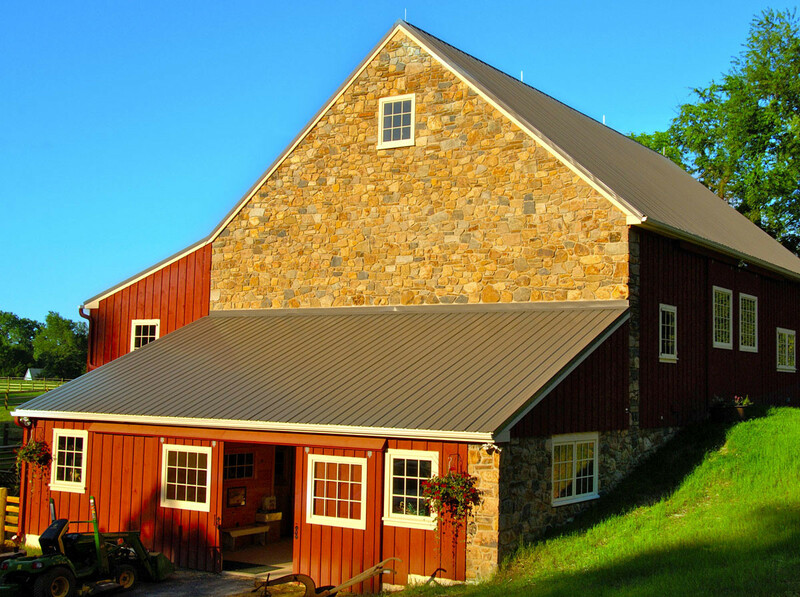 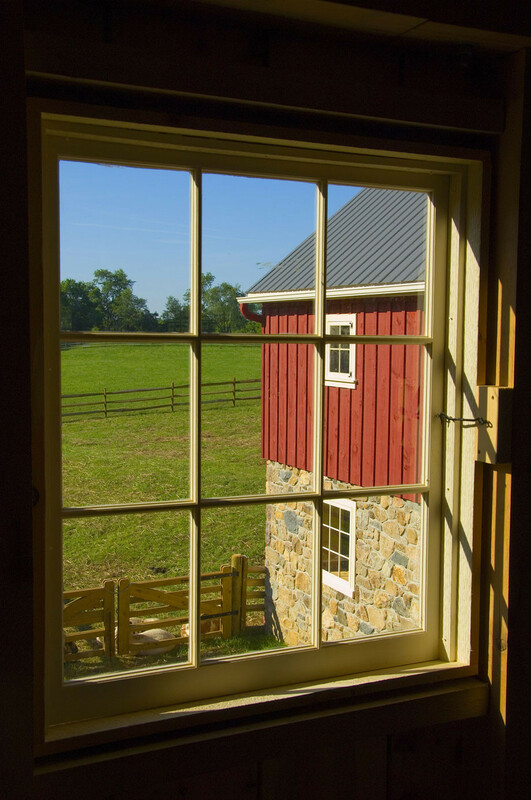 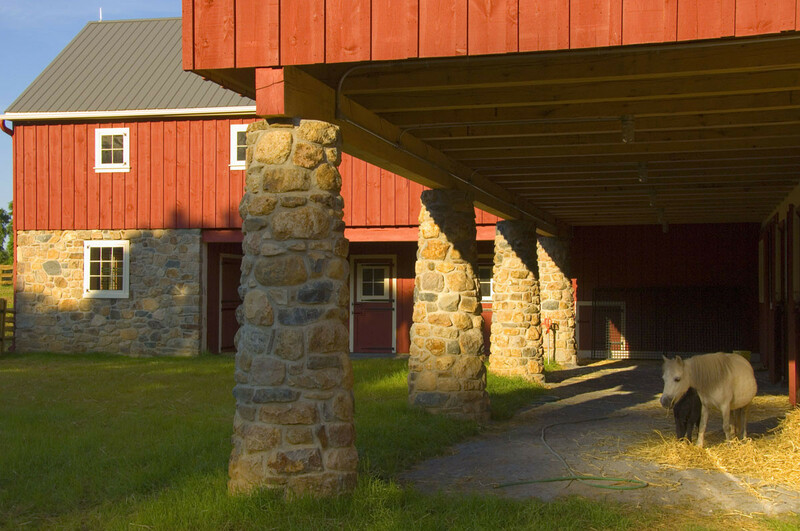 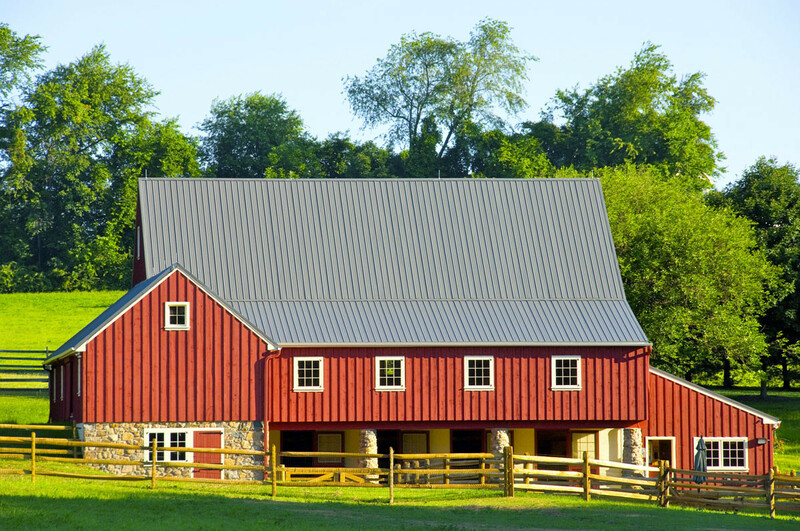 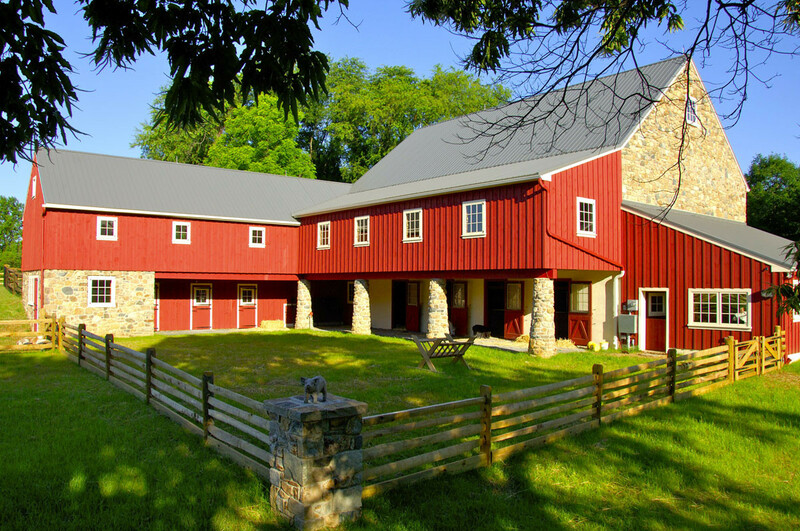 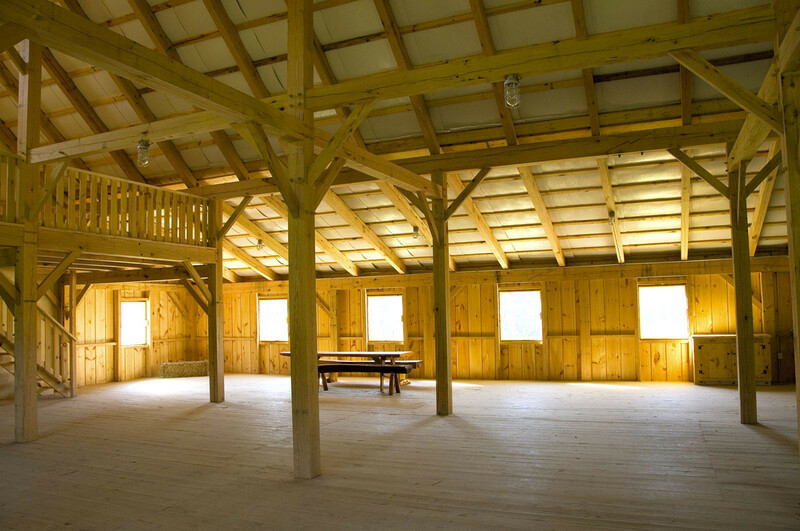 This classic Chester County bank barn was designed and built for children with disabilities to participate in animal-based activities. 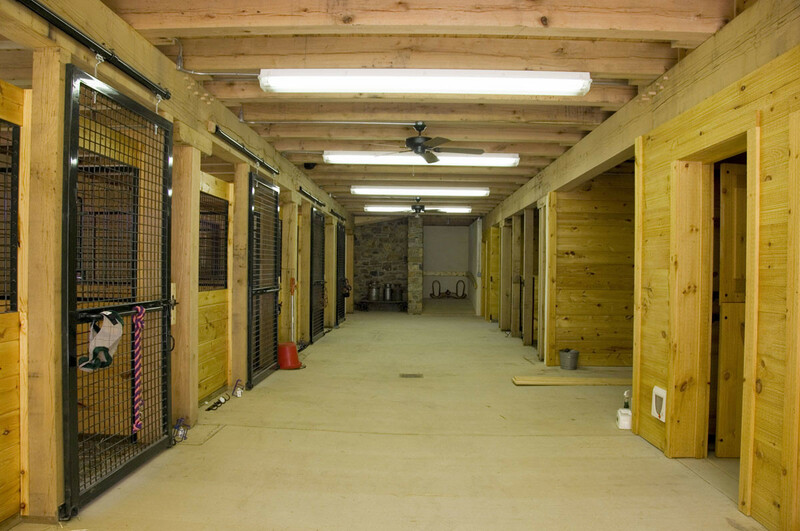 Animals are housed in the wheelchair-accessible lower level, while a ramp leads to the loft. 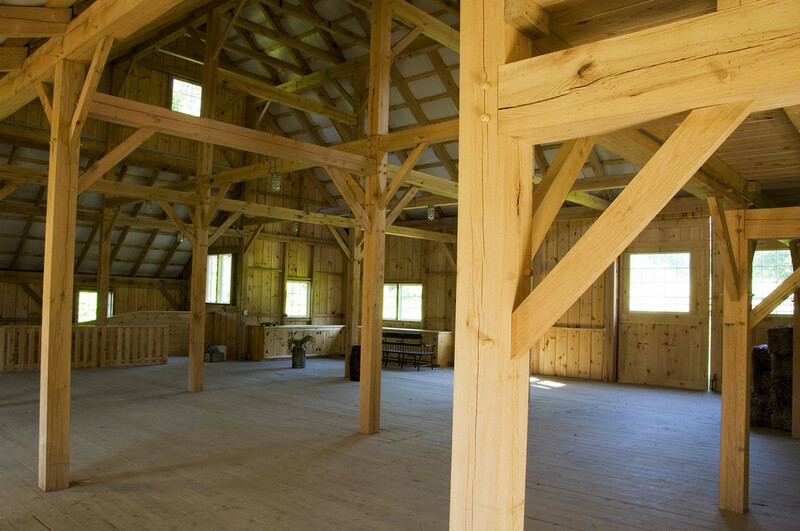 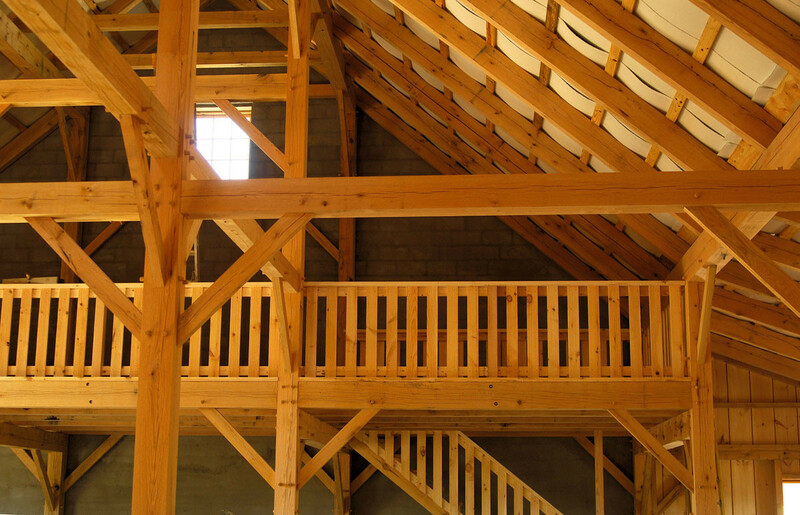 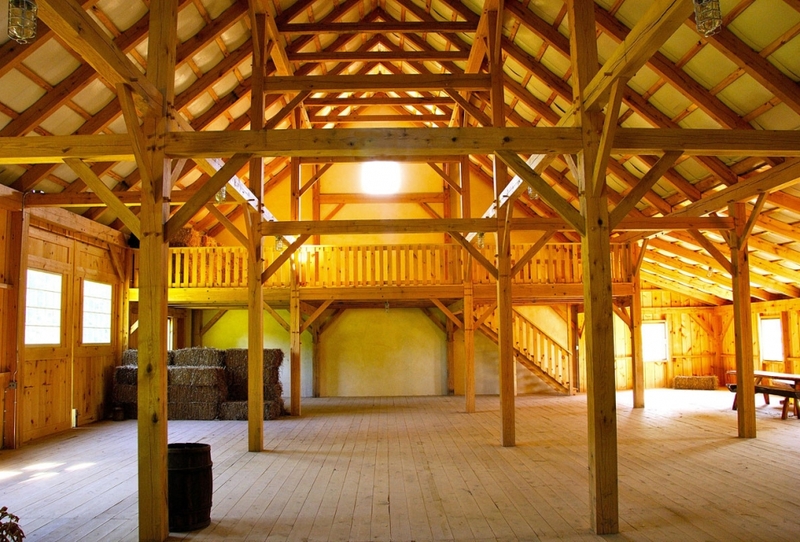 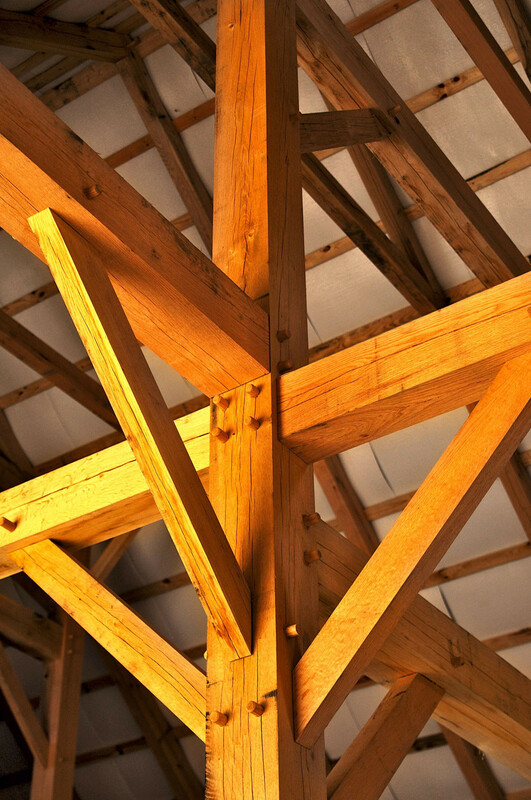 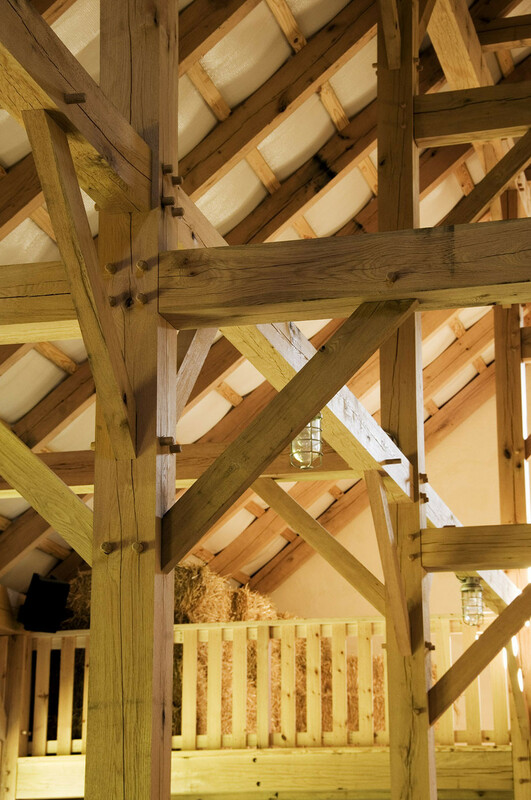 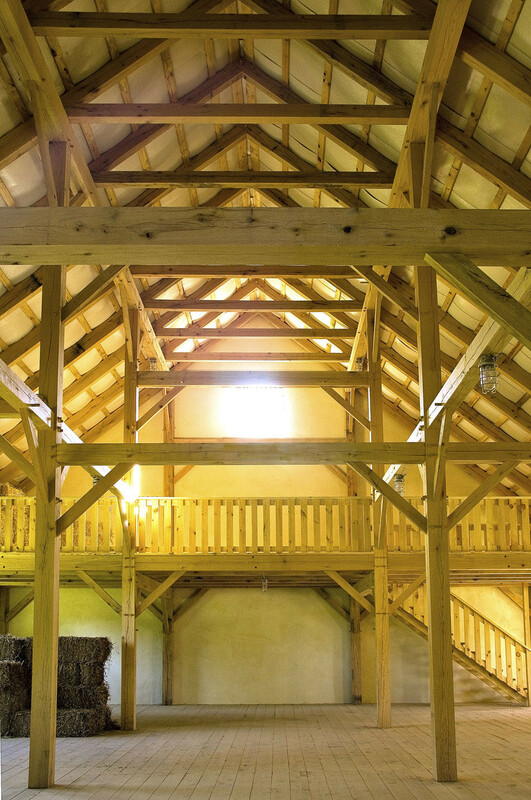 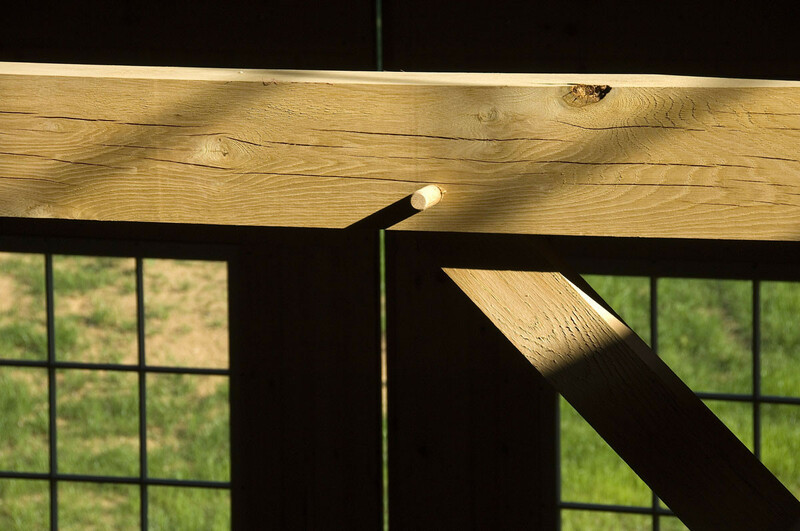 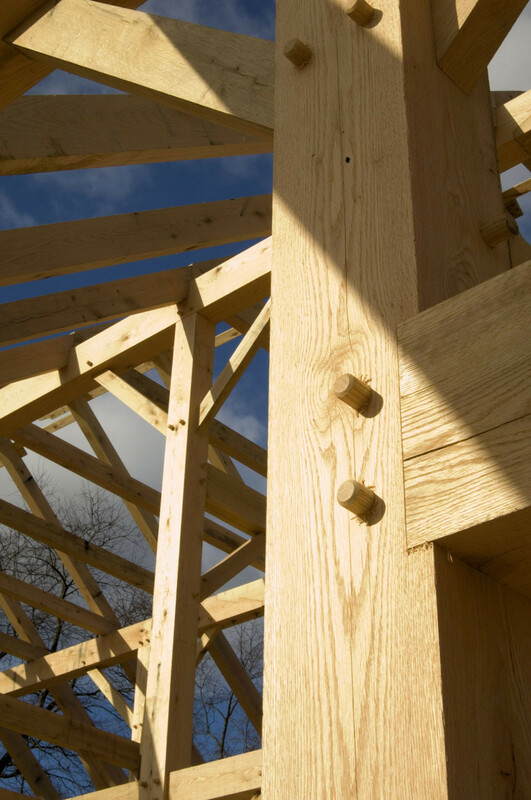 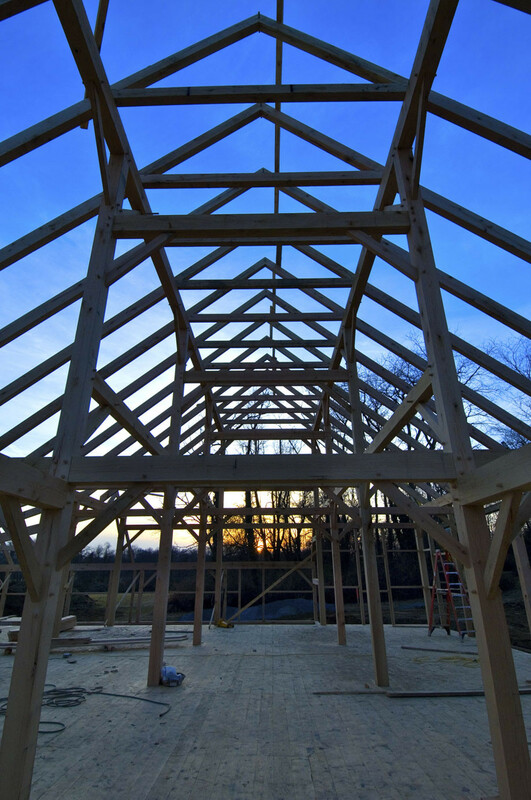 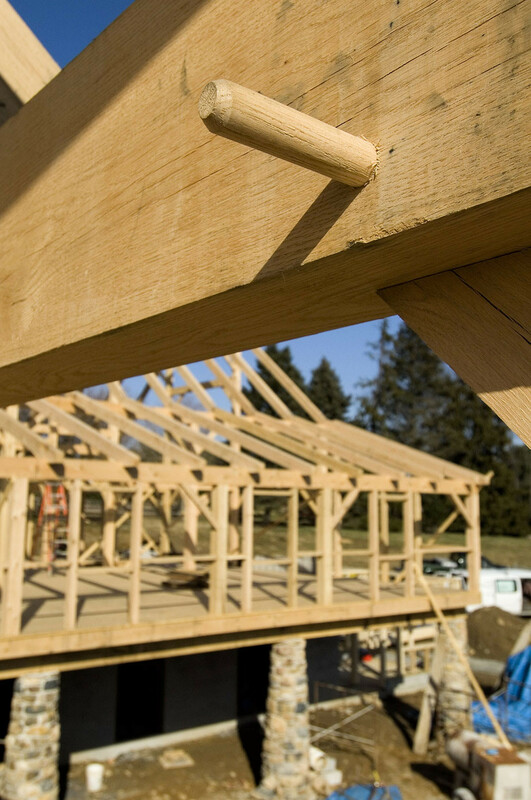 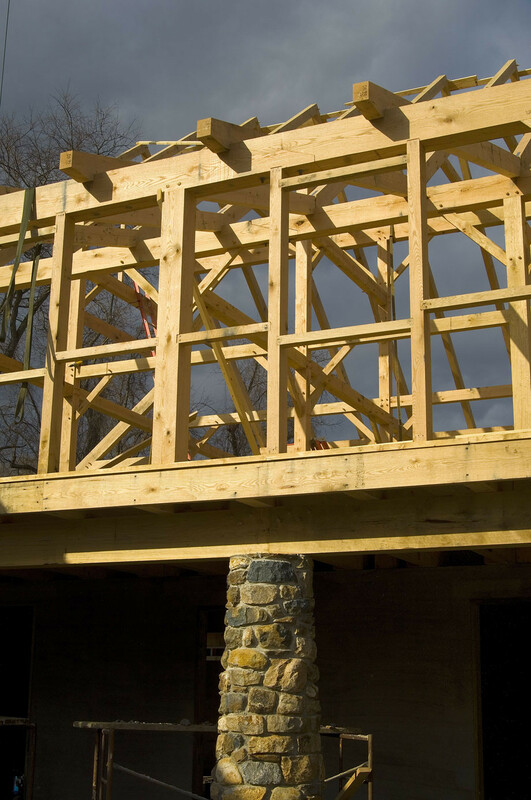 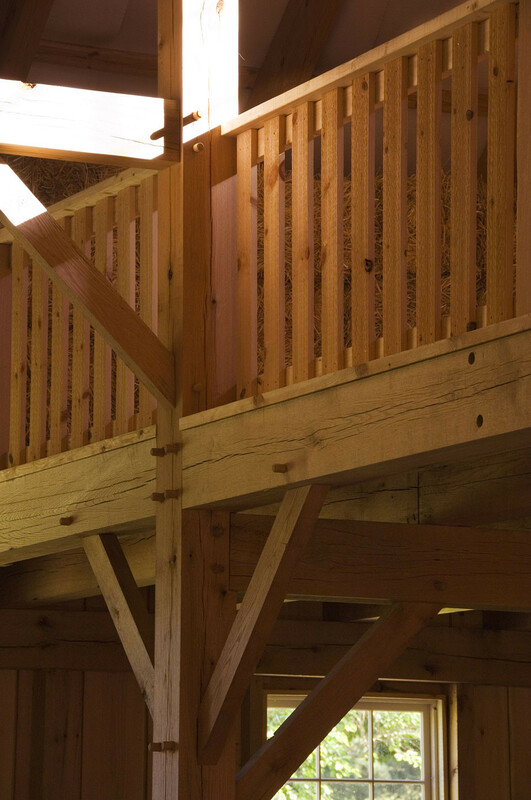 Oak timber framing highlights the classic red barn’s design. 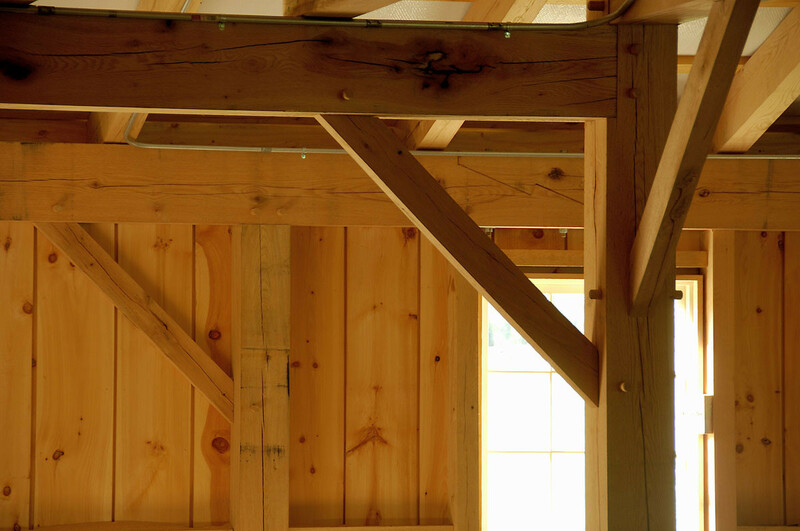 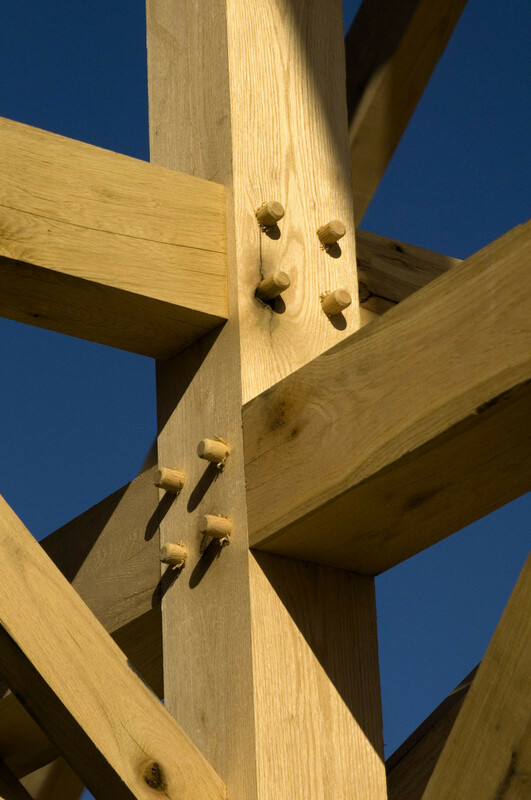 Contractor: Thomas Custom Builders, Inc.